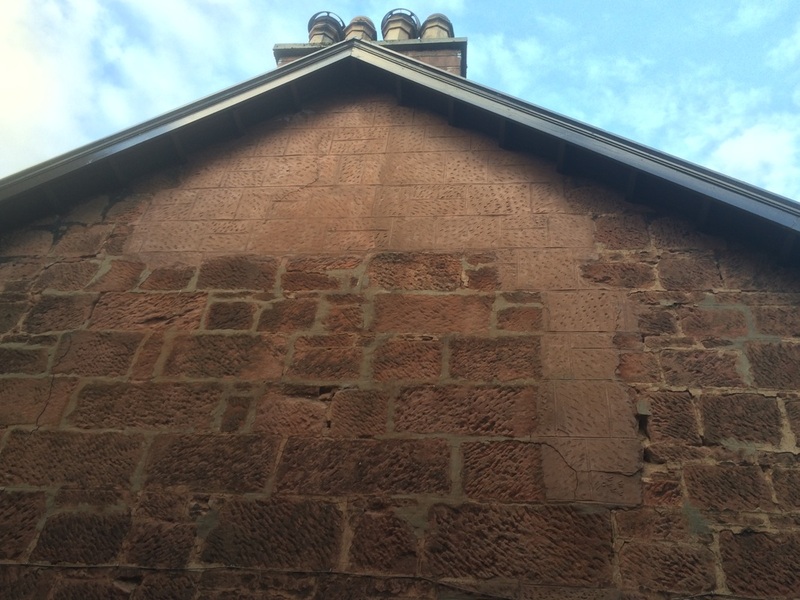 This gable was in desperate need of some attention. 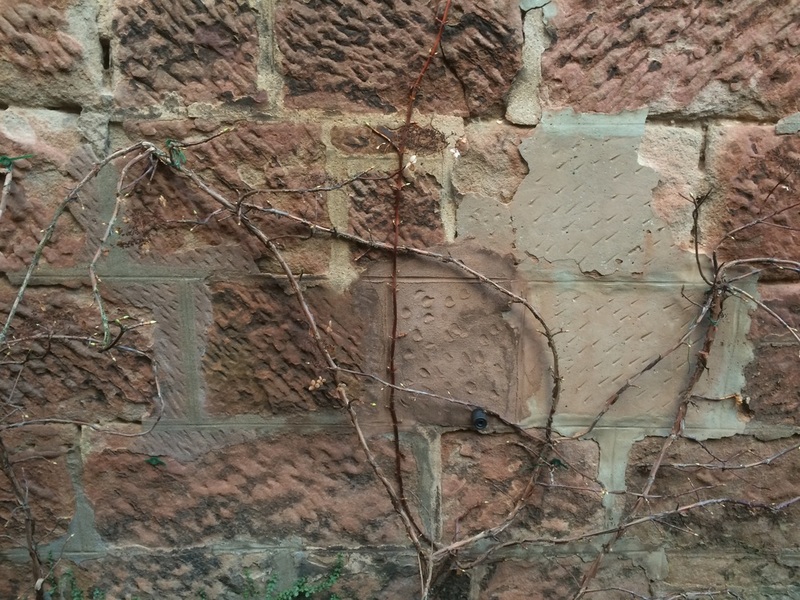 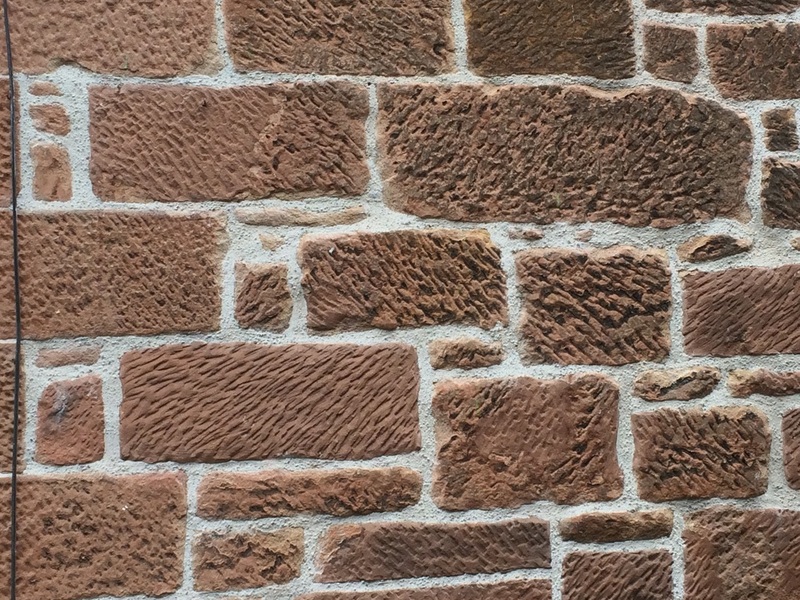 The old cement pointing had trapped water in and seriously damaged the sandstone. 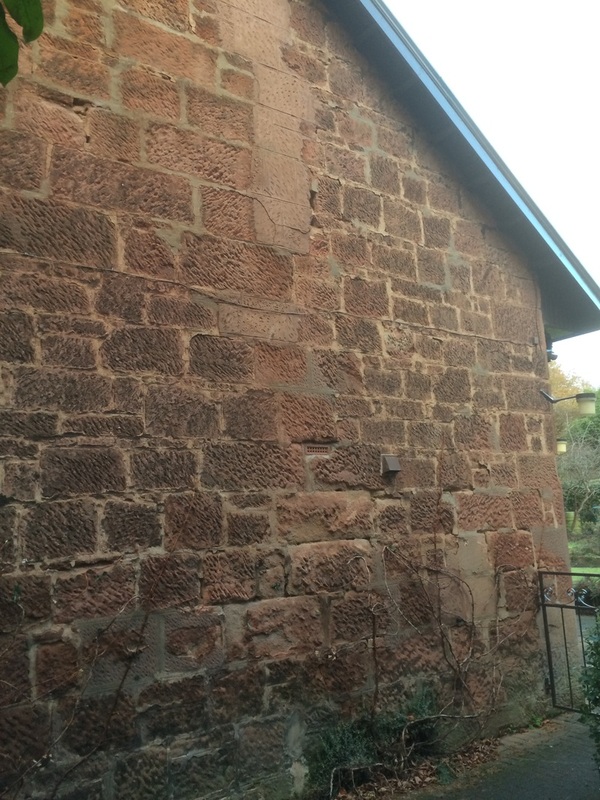 The old cement render under the chimney was cracking and coming away from the wall. 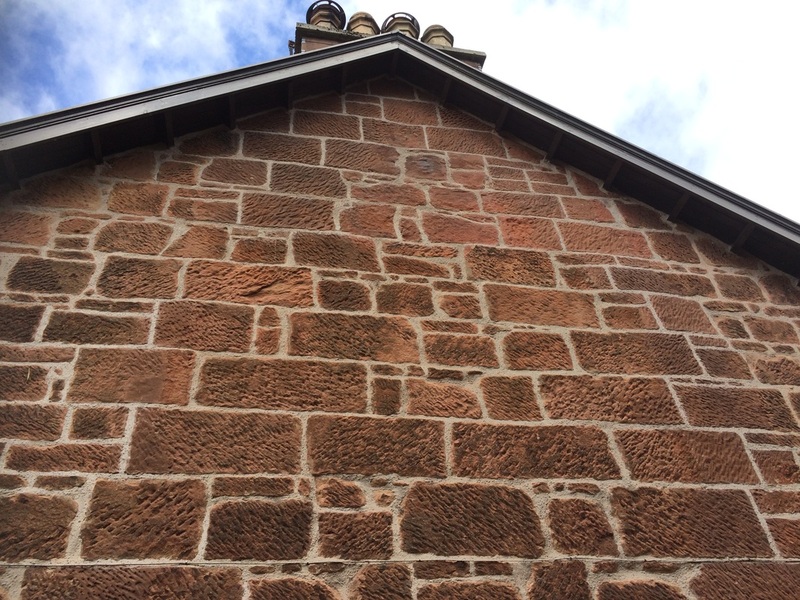 We removed the cracked cement patches, dressed the stone back and then coated the damaged stonework with lime based Lithomex, which we tooled to match the existing stone. 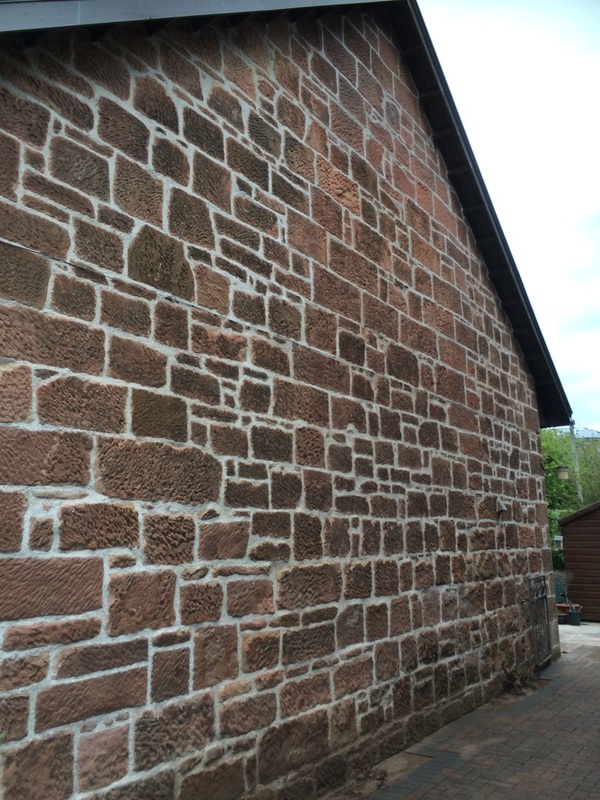 We then repointed with a lime based mortar.